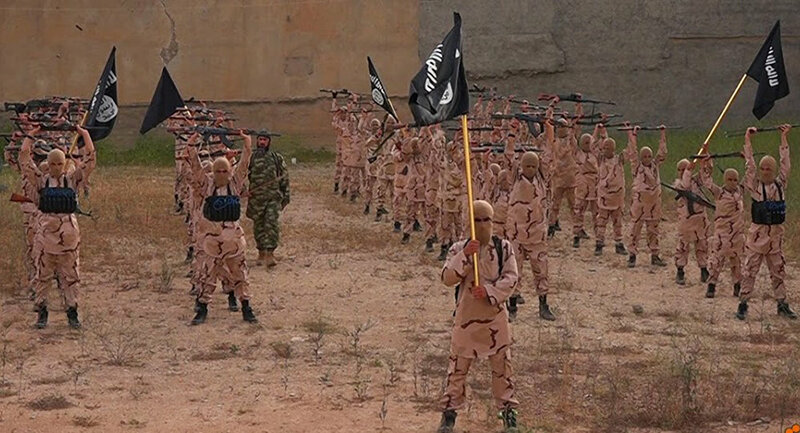 In an interview with Sputnik, a source close to the intelligence services singled out at least five Daesh (ISIL/ISIS) training camps, located in remote areas near Kosovo’s border with Albania and Macedonia.The largest camps are located in areas adjacent to the towns on the Urosevac and Djakovica line as well as the Decani district, the source said, adding that the smaller camps were tracked in the Prizren and Pec regions. In a separate interview with Sputnik earlier this week, Fadil Lepaja, director of the Center for Balkan Studies in Pristina, shared the view that with Kosovo’s borders with Albania and Macedonia existing only on paper, tracking Islamists’ training camps is almost impossible.He noted that tackling Daesh supporters is a global problem, rather than one limited to Kosovo and Albania. Even though NATO’s mission in Kosovo (KFOR) and all relevant services keep a watchful eye on those who have returned from the war in Syria, it is hard to foresee everything, according to him. The Syrian government troops are fighting Daesh over an oil field near Tabqa in the west of Raqqa province, a source in Syrian militia told RIA Novosti on Monday. BEIRUT Since May, the Syrian army launched an offensive in the direction of Tabqa, which lies on the way to the city of Raqqa, the Syrian stronghold of the islamists, outlawed in many countries worldwide, including Russia and the United States. “Fierce fighting near the oil field still continue. At night, parts of the Syrian army drove terrorists out of Ash Shola, but an intensive counterstrike forced them to regroup in the morning. The field is not yet completely liberated,” the source said. Syria has been mired in civil war since 2011, with numerous opposition factions and Islamic extremist groups fighting government forces seeking to topple the government of President Bashar Assad. Turkish military did not make any effort to prevent Daesh from digging deep trenches in broad daylight and filling them with explosive devices in the narrow stretch of land between the militant-held Syrian city of Jarabulus and the border, local residents told RT. “We could easily watch them [build fortifications]. It’s very close to the border, like 50 meters away. If you can see the trenches from here now, you should have seen them being dug with all that big equipment,” Bulent Polat, a shop owner from the Turkish town of Karkamis, told the television network. A power shovel, left standing by the trench, is still visible in the distance. Karkamis has been largely abandoned in the months after a foreign-sponsored insurgency set the neighboring country on fire. The ripples of the Syrian war reached the city when Daesh began to launch rockets across the border. Yet the Turkish authorities do not seem to be eager to protect their own citizens. “Once when [Daesh] fired a rocket, when some top army officials came here we asked: ‘Why are you not taking action?’ They said the order from the top is only to take security measures for the soldiers,” Bulent said. Yet, for the shop owner, peace and security seem to be only a step away. If Ankara choses to act, Jarabulus would become Daesh-free in an instant, he suggested. It will only take the Turkish military “24 hours” to tackle the militants around Jarabulus. But the Turkish military is not the only one ignoring Daesh activities across the border. Bulent and other locals saw military aircraft of the US-led coalition traversing the skies over Jarabulus and Karkamis. They did not launch airstrikes.RT correspondent Lizzie Phelan and her crew visited Karkamis and talked to its residents. While there, the crew saw a Daesh flag flying over a pink building and vehicles moving across the border. The journalists also heard militants transmit messages like “God help [Daesh] in its fight” over loudspeakers. Turkish leadership, including President Recep Tayyip Erdogan, has long been scolded for not taking a tougher stance on Daesh and not doing enough to secure the border with Syria, a step that would deal a major blow to the terrorist group that relies heavily on outside supplies to maintain its grip on the region. Border crossings, like the one between Jarabulus and Karkamis, are vital for Daesh survival. True, the Turkish military turned the stretch of land between the border and the Syrian city into a minefield, but crossing into Syria is easy. The shop owner offered to take Phelan to the war-torn country, adding that she would have to wear a burqa and could not mention that she was a journalist. There were no other conditions. In other words, getting into Syria from Turkey is not an issue, but for trapped civilians leaving Jarabulus there are problems.It is unsurprising then that Bulent and other locals do not support the ruling Justice and Development Party (AKP). “I won’t vote for the AKP even if they offer me the whole city,” he said, referring to Karkamis. Earlier, RT uncovered a treasure trove of documents that pointed to Daesh selling oil to Turkey amongst other things. The journalists found invoices in liberated Syrian border city of al-Shaddadi. Ankara has long been accused of providing aid to radical groups trying to overthrow Erdogan’s former ally Bashar al-Assad, whom the Turkish president now views as his opponent.